Stiff Gins combine stunning harmonies and wicked senses humour to transport listeners to a world of joy, spirit and song. 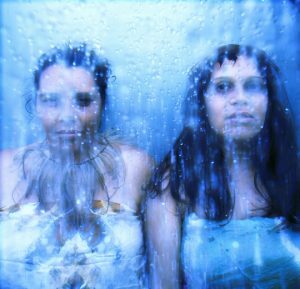 Their moniker is a reclamation of an offensive reference to Aboriginal women, a banner to guide their music in the direction of strength and pride. Three albums and countless breathtaking shows later, the name has become synonymous with musical excellence. Fresh off the stage from their epic visual theatre project Spirit of Things: Sound of Objects they are forging forward. In their nineteenth year they soar into their most intriguing music making yet with a new recording and sound design project in the works.